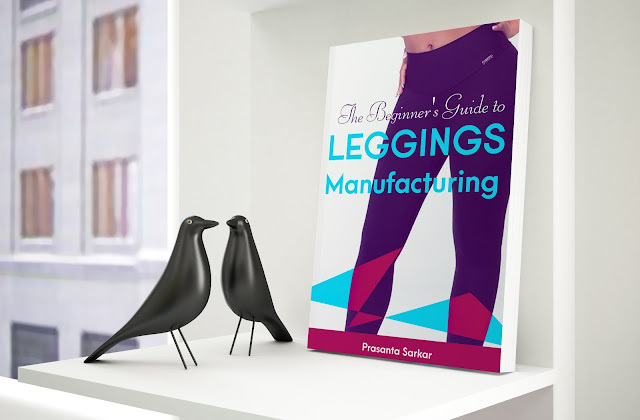 The Beginner's Guide to Leggings Manufacturing (Version 2), the popular book of OCS publications, has been released this week with a new cover design. In the new version, I have added a few more sections and expanded the existing sections. Length of the book has been increased from 25 pages to 48 pages (A4 size). You can buy this eBook on Amazon store at the reduced price $ 0.99 (New release discount only available on Amazon store for Kindle version). The price will be revised soon. See and read the preview pages on the below. The existing customers of the Leggings Manufacturing eBook (PDF version) can ask for the new version, (free of cost) by writing a mail to me along with Instamojo receipt of the book purchase. Hope you will love reading the new version. Book on Leggings Manufacturing. Learn all that you need to know to setup legging manufacturing business.